I'm hoping to try watermelons again this year now that I have a real garden bed to plant them in. I have narrowed down this year's list to four varieties: 'Blacktail Mountain', 'Bozeman', 'Cream of Saskatchewan' and 'Sweet Siberian'. Summer nights in my area average around 45 degrees fahrenheit / 8 degrees celsius. I thought it would be nice to try and grow something interesting here, I liked the colour of the last two because you can't find watermelons like that in the store around these parts. My only concern would be our cooler nights, has anyone had success growing any of these varieties outside a greenhouse in Zone 3? Blacktail mountain is supposed to be quite hardy but it is a rather plain looking melon. Blacktail Mountain may be a "plain looking melon", but it is one of the best tasting. Highly recommended. Whatever early-variety you choose, start indoors 4 weeks (mid-May) in a 3 or 4" pot before transplant (mid-June). Use black plastic row covers over the planting hill to keep soil warm. Water with room temperature/warm water whenever possible (ice cold water from a hose would defeat the purpose of keeping the soil warm - fill up a bucket near each plant and let it warm up in the sun for a couple hours before watering). Put large rocks (painted black if possible) in a 2 foot circle around each plant to release heat at night and also to help hold down the row cover. Don't be afraid to cover the plants with an old sheet or plastic at night if you think you might get a summer frost. Out of your list, Blacktail Mountain or Bozeman would be better prospects. Try a few of each and see what does best for you. For an OP I agree with the rest and that would have to be Black Tail Mountain,bred by Glenn Drowns with his Sandhill Preservation website when he lived in Northern Idaho which has a very short cool season. Where he is now in Iowa melons do much better and of course he also sells seeds for this watermelon. Glenn is growing older, I've known him and his wife Linda for several decades, but while he grows older the seeds he sells ,when he's not teaching at a local K thru 12 (his wife organizes the seed selling and shipping out of his heirloom birdies ) the seeds he sells are much more fresh since he raises most of what he sells,eg.no tomato seeds sold are over 2 yo and only a few others can get close to that. Carolyn,who is not his PR agent but has admired Glenn for his honesty,his dedication to preservation and his maintaining the SSE varieties for many years. The above got goofed up, my fault and I cant' delete it easily. (For an OP I agree with the rest and that would have to be Black Tail Mountain,bred by Glenn Drowns with his Sandhill Preservation website, when he lived in Northern Idaho which has a very short cool season. That is awfully cold. What is the min/max soil temperature? 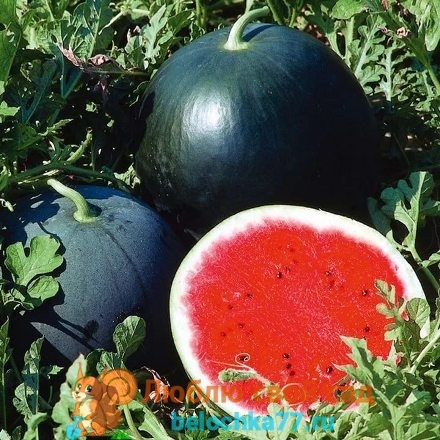 Sugar Baby is my partner's go to melon, although we seldom have a melon ripe enough to enjoy. This past summer we had extraordinary heat, almost every day was sunny, and the season lasted several weeks longer than usual (with summer heat in fall.) 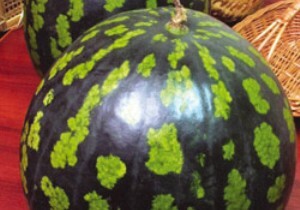 I did get to eat a ripe melon, and it was very good , but the plants down the stem weren't ripe enough to sweeten. We have the opposite of cool nights - not good for tomato and pepper pollination when it is nearly 100 degrees and upper 80's overnight and dreadfully humid for days on end. Did some of the prep that rhines81 suggested, but the water treatment is a bit too physical. You have to do what you can but those are good ideas. I'm close to central Iowa for summer temps and seasonality. Blacktail Mountain is in my city seed library, so it must be favored in this area. I see huge sun and moon at the farmers market. I wonder if they are started in a high tunnel. It would need to be huge ! I think your growing technique will be just as important as the variety you select. Starting seeds indoors, raised beds, black plastic mulch, and low tunnels/row covers will all help. Baker Creek lists Blacktail Mountain as 70 days to maturity. The best watermelon where I live is Sangria. I'm seeing it listed as 87 days. I think the methods I listed above would give you the chance to grow any variety you wanted. Thank you all for your advice, I will spring for the Blacktail Mountain seeds then. I had some success with 'Small Shining Light' a few years ago, in spite of being root-bound and stunted. They were in black containers though- soil temperature wasn't so much of an issue. I didn't think to measure the temperature of the bed over the summer, I will make a note of that for this coming season! Sounds like I should invest in black plastic and some rain barrels! 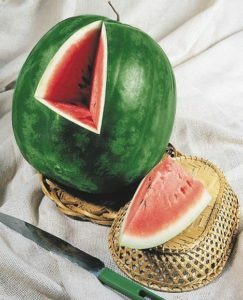 Moon and Stars is the most beautiful watermelon I have ever seen, I tried it a few years ago but no fruit of course. Loved the spotted leaves. 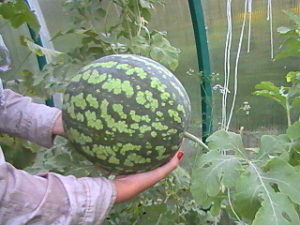 I'll save my plans for exotic watermelons for when I have a greenhouse some day. Much appreciated everybody! Ogonyok (Small Shining Light in English), which is an old Soviet early classic variety from 1950s. Have you grown any of these, Andrey? Some beautiful varieties! 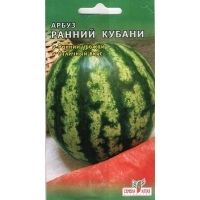 Anyone know if seeds for those Andrey showed are available in the States? I sure would like to try a couple! Last edited by Andrey_BY; December 31, 2017 at 02:06 AM.